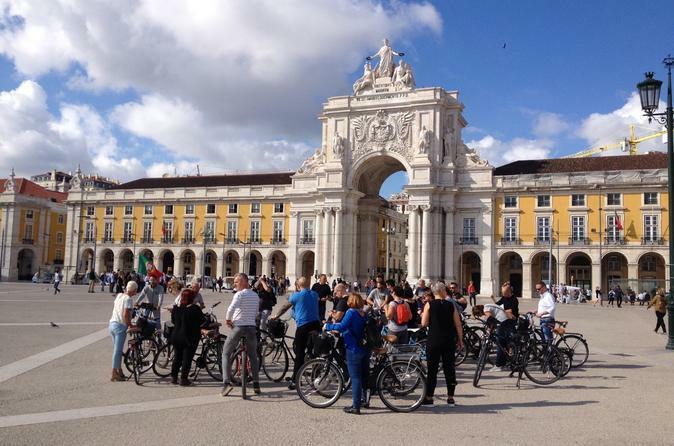 Mount your trusty steed (bicycle) and explore everything the Portuguese capital has to offer. 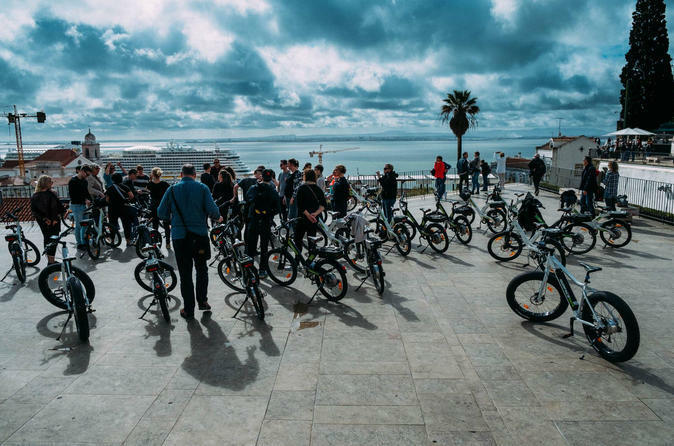 We've selected some of the finest Lisbon bike tours, so you can watch the sun setting from the heights of Miradouro de São Pedro de Alcântara, take a leisurely ride through the Sintra-Cascais Nature Reserve, or amp it up on a mountain bike on the cliffs of Arrábida. Whatever your fancy (and ability), we've got a tour for you. 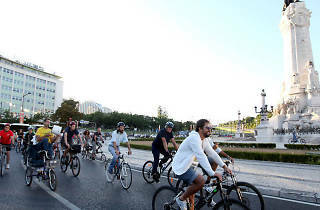 Take a look below for eight great Lisbon bike tours. 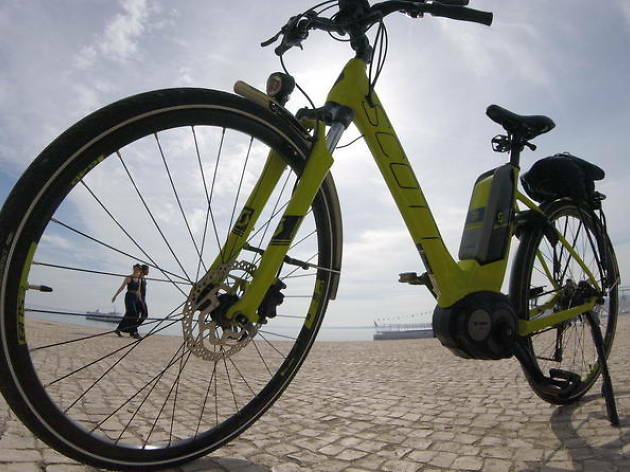 Lisbon was built on hills and with this electric bike tour you’ll be able to scale them with ease to discover the city’s highlights. 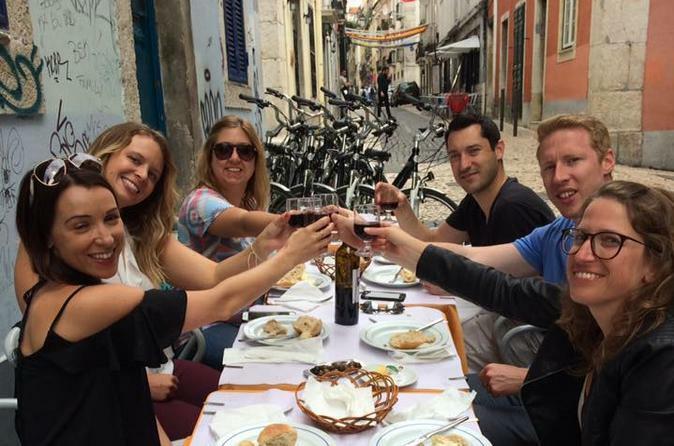 It's without a doubt the best way to experience the history, culture and scenic views of Lisbon. 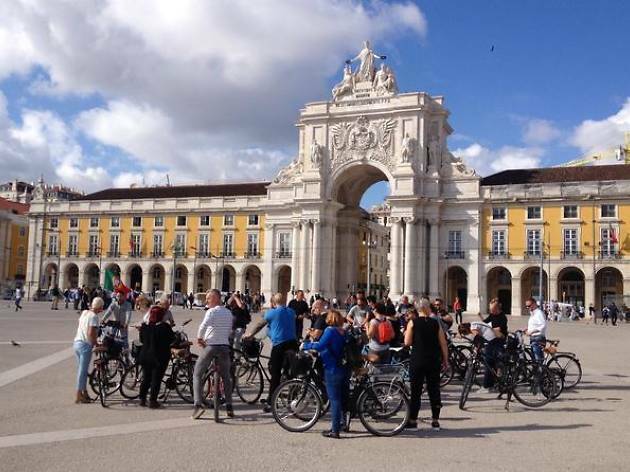 Visit the beautiful Alfama, Chiado and Bairro Alto districts, and cycle past landmarks such as Sé de Lisboa Cathedral. 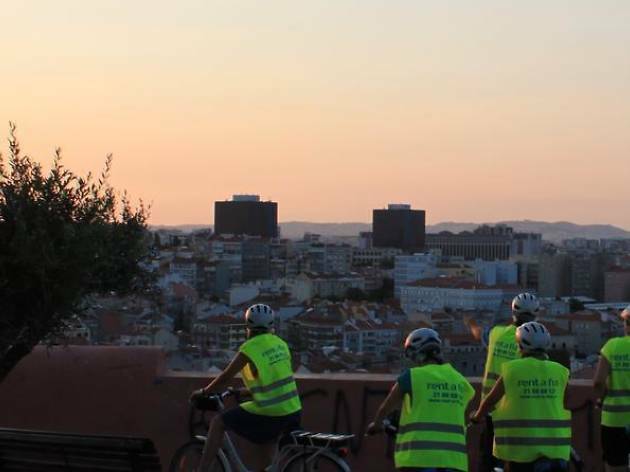 Ride up to the highest spots in the city, such as the National Pantheon and the São Vicente Monastery, and enjoy magnificent 360-degree views over Lisbon’s beautiful landscape. 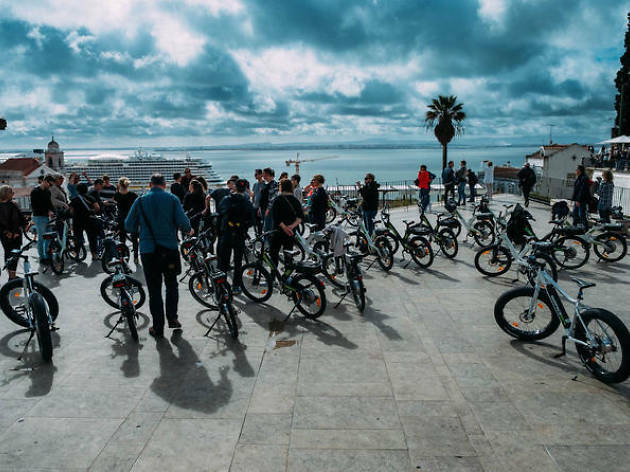 In three hours you can enjoy the best and most interesting tips and historical facts about Lisbon on a pleasant ride featuring four 'tasting' stops. Learn about the city’s recovery after the 1755 earthquake; try out some famous Portuguese flavours alongside a wine tasting; and savour the sweet, traditional pastries with an espresso before heading back. 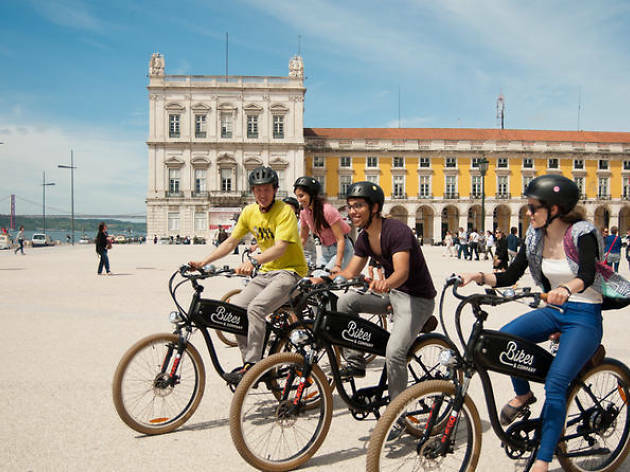 Visit the historical and architectural highlights of Lisbon a different way, on a three-hour electric bicycle tour of the Portuguese capital. 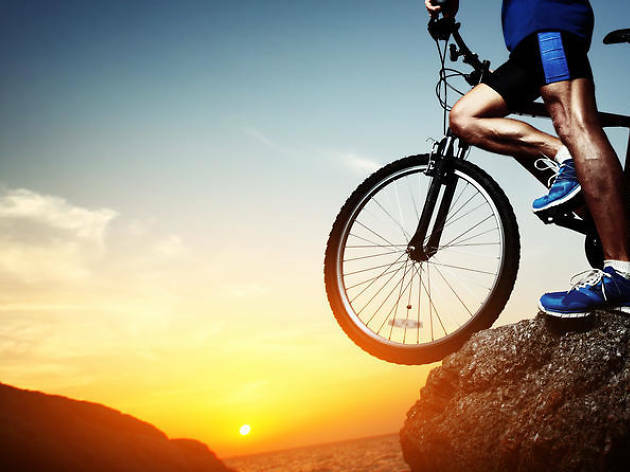 Follow an expert local guide through the city on a state-of-the-art bike that makes it easy to reach every viewpoint. Discover hidden enclaves, see iconic landmarks and more. 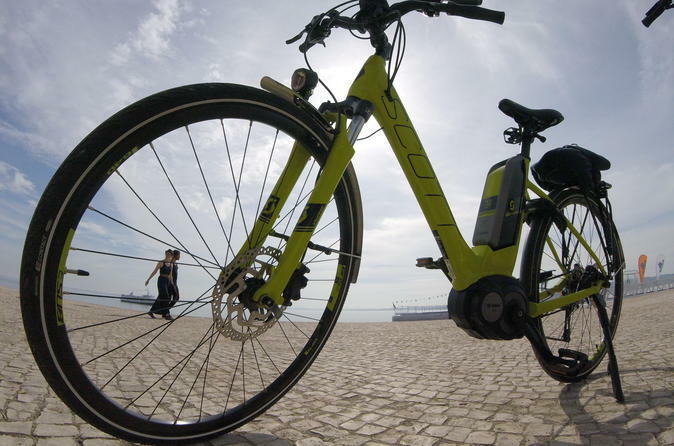 Spend some time in Portugal’s charming countryside during this six-hour electric bike tour from Lisbon. 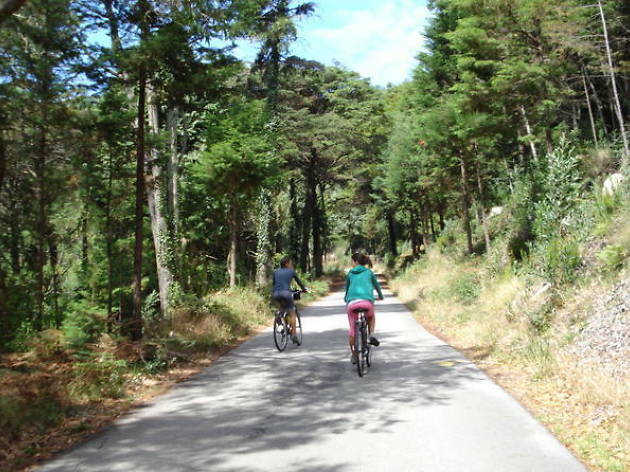 Travel by train to the village of Sintra, where you can explore the mountainous region by bike. Visit the famous Quinta da Regaleira, the National Palace, and the beautiful Monserrate Park and Palace. Then head toward the coast, through the vineyards of Colares, to the quaint village of Penedo. 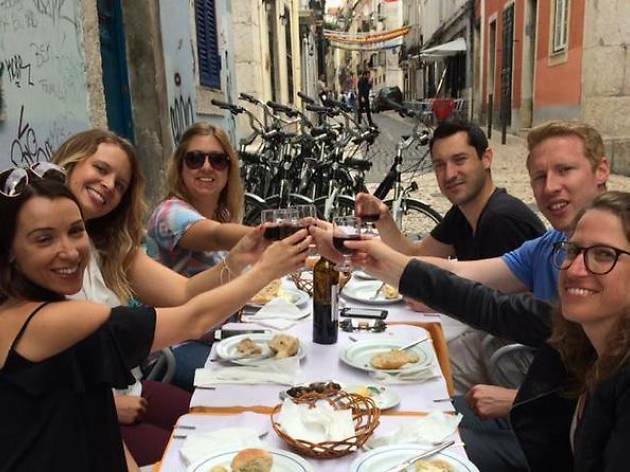 Enjoy lunch at a local restaurant in Azóia then continue on to Cascais and hop on a train back to Lisbon. 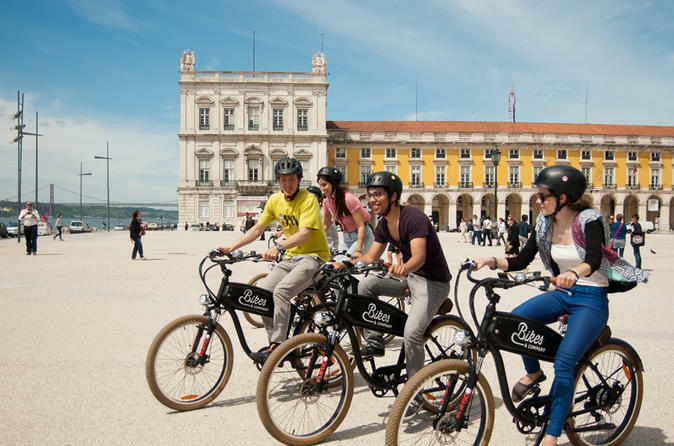 Explore the neighborhoods of Lisbon by electric bike and discover some of the elegant neo-classical squares of Lisbon city center. Make light work of the legendary hills of Lisbon while learning little known facts about the history of the Portuguese capital. A perfect introduction for first-time visitors. Those of you looking for more of an idependent challenge can head out on your own to explore the old town of Sintra and the stunning Sintra-Cascais Nature Reserve. 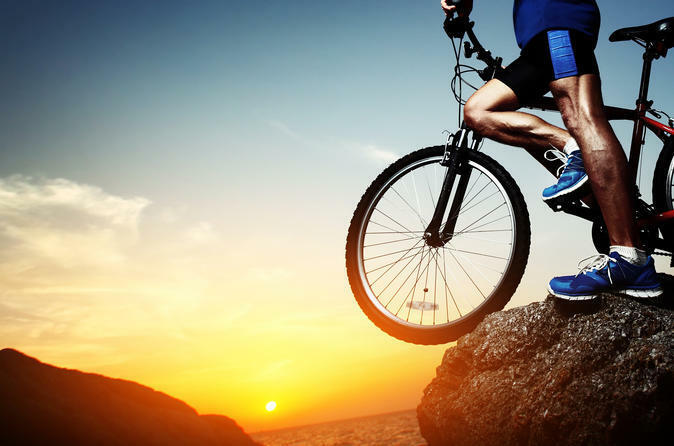 Ride down quiet roads and along beautiful coastline with a trusty GPS guiding you and providing suggestions of where to stop. 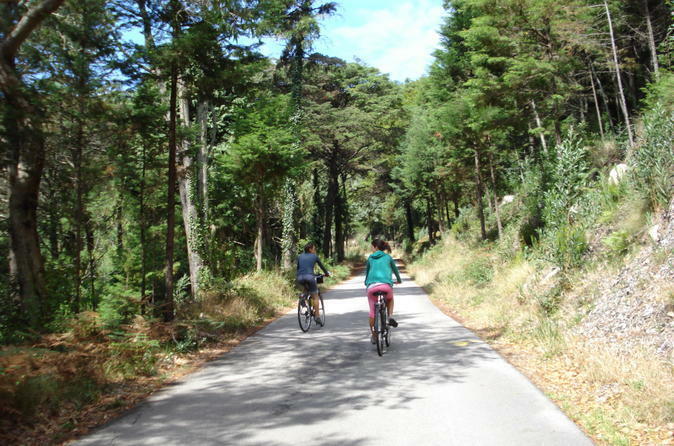 Add a little adventure to your tour by hopping on a mountain bike and exploring the Natural Park of Arrábida. See stunning landscapes as the group visits the parks cliffs, beaches, vineyards and forests. After all that work reward yourself with a taste of muscatel from Setúbal (included in the fee). 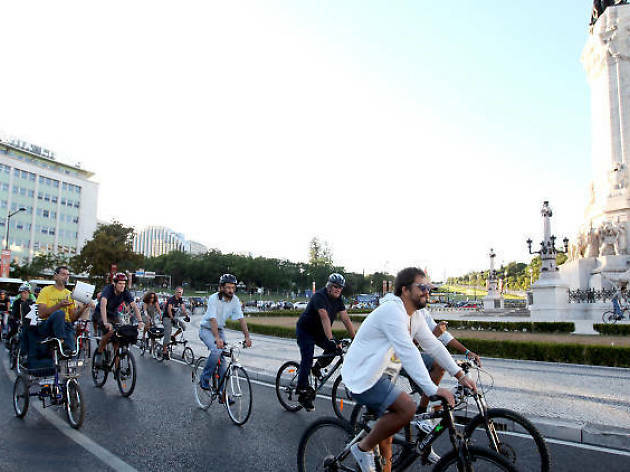 See the enchanting lights of Lisbon on this three-hour night bike tour. Climb to the top of the city, where you can snap postcard-worthy photos of all its lights and the river. 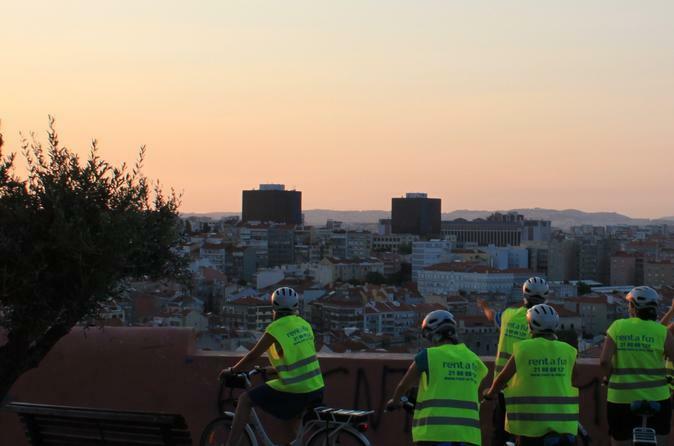 Watch the sunset from the Miradouro de São Pedro de Alcântara and ride through Parque Eduardo VII, Barrio Alto, and the steep street of Bica, all illuminated at night.